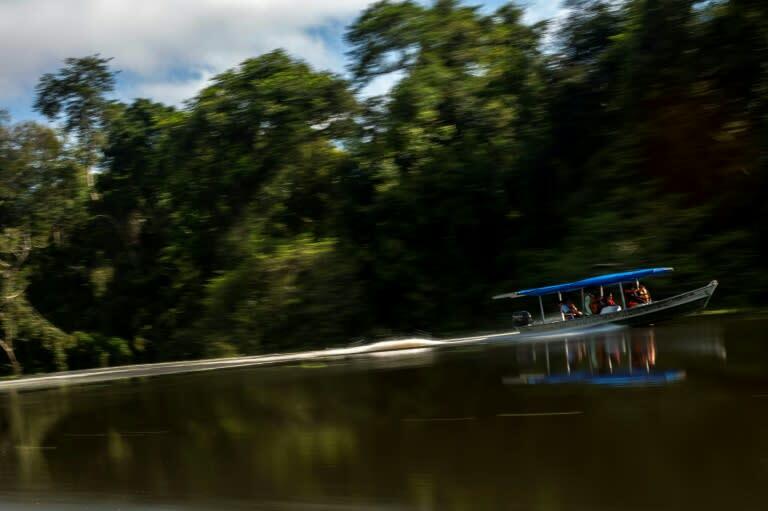 A hoarse sound abruptly wakes visitors staying at a floating house that serves as a base for environmentalists on the Jaraua river in the Amazon rainforest. During flood season, the Mamiraua Sustainable Development Reserve -- located 500 kilometers (310 miles) from the Amazonas state capital Manaus -- fills with water. For researchers from the Mamiraua Institute and WWF-Brazil, that means their nearest neighbor is a caiman they call Dominique. It has decided to squat for the day at the end of their house. But the surprising noise was something else. "Don't worry! That's just the river dolphins breathing. It's scary in the middle of the night, right?" biologist Andre Coelho says. The next day, scientists got into two boats, slowly navigating the endless spread of water-filled forest. In this primeval landscape, the researchers used a drone to help them watch the Amazon's pink river dolphins, whose scientific name is Inia geoffrensis. 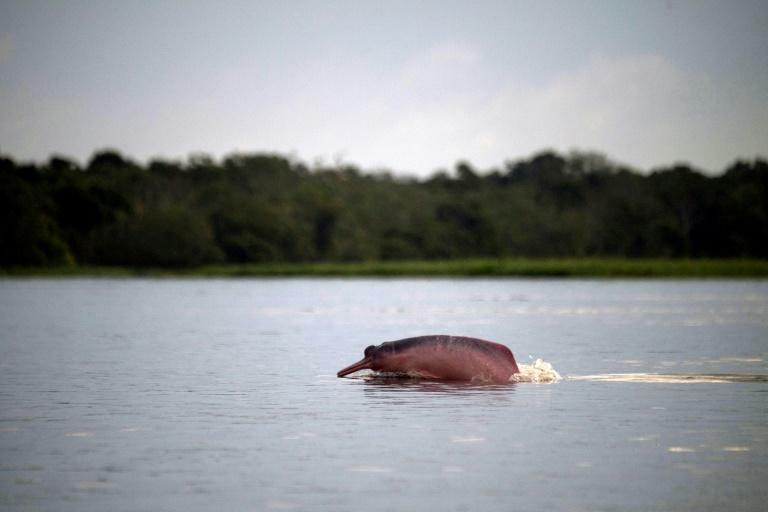 The voyage in late June, which AFP was invited to follow, was the last in the series of a project called EcoDrones, which monitors populations of the pink river dolphin and another type, the tucuxi, or Sotalia fluviatilis. "We need to understand their behavior and habits so that we can propose policies for their preservation," said Marcelo Oliveira, from the World Wildlife Fund-Brazil. 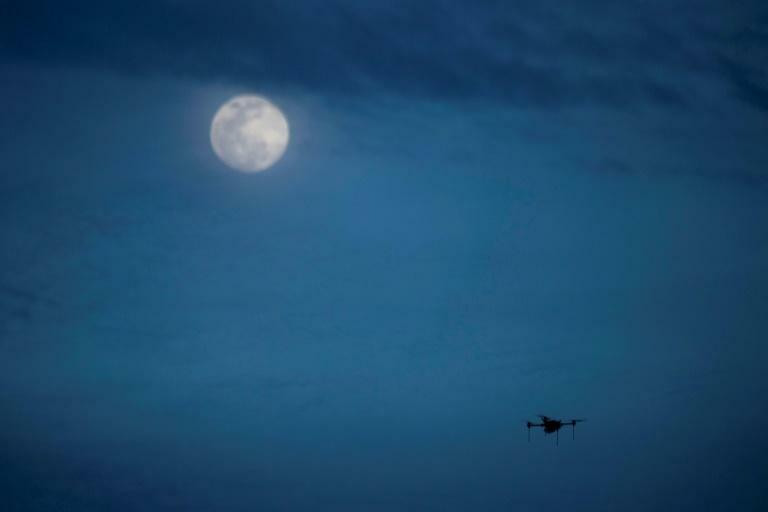 Drones "are a tool that will reduce costs and speed up the investigations," said oceanographer Miriam Marmontel, from the Mamiraua Institute. The expedition is using new thermal imaging cameras to allow work to continue at night. "We can observe the animals at times when before it was impossible," Oliveira said. Some of the research will be sent to the University of Liverpool in association with WWF-Brazil, with hopes of developing an algorithm that will allow scientists to identify every one of the dolphins during their observations. "There are many different Amazons in what we call the Amazon jungle," said Marmontel. "Our monitoring means we can understand how to preserve animals in each region -- what are the dangers and how they can be faced."